Welcome to the Beach Bikes Giveaway. Can you imagine being able to build your own bike? You can read my review here. You must be 18 years old or older to enter and a resident of the US. The ARV of this prize is $300, and the bike is a ‘build a bike’ type bike. Enter here to win a 20$ Gift card for Sears! These gift cards can be used on anything in the stores you choose! Click the link below and enter to win! Welcome to our Nature’s Sleep 2 Memory Foam Pillows Giveaway. The company will be choosing the pillows but regardless their super comfortable pillows start at $70 per pillow up to $175 per pillow. They all look comfortable if you ask me. Lisa received a GhostBed from Nature’s Sleep and you will want to read all about it here –> review. Nature’s Sleep is giving 2 Nature’s Sleep Memory Foam Pillows (Company’s choice). Welcome to our Choose your Coach Purse Giveaway! Have you always wanted to have a Coach purse? 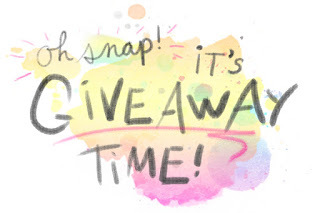 Then good news because my blogger friends and I have teamed up to give you an awesome giveaway event. We have eight gorgeous purses on hand and in this giveaway we’re giving ONE winner a chance to choose one Coach purse. So which is your favorite among the 8 styles? Giveaway is open to US only and runs from 4/25 – 5/15 11:59pm EST.